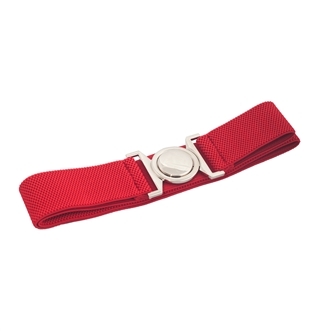 Plus size belt features shiny silver round cinch buckle. Measures 1.5 inch width. This stretchy elastic belt will accommodate 34 to 44 inch waistline.